Which is Correct: He, She, or They? Yes, that is a very lawyerly answer that we give so often and under so many circumstances; however, we cannot, as lawyers, tell someone whether to identify as a male or female. People recently highlighted a family with a six year old transgender daughter. The parents made the choice to allow their child, who was assigned male at birth, to fully transition to a female at the age of four. Although it was surprising to read about a child who had transitioned so young, it is not shocking that a child of that age made it clear to their parents who they were and how they identify. Transgender laws are developing. Many of the current laws specific to the transgender community involve civil rights, but others include change of name and hate crimes. 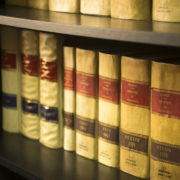 We expect that many other areas of law will continue to evolve and change as well. Do you remember the Rockwell and Michael Jackson song from the 1980’s? For some strange reason, we’ve heard the song a handful of times within the last week. Ironically, one member of our team has also been dealing with credit card information being stolen, likely by a digital pickpocket. * Be very cautious if someone makes an unsolicited telephone call you asking for identifying information, even if they introduce themselves as a representative from your credit card company, mortgage lender, bank, or similar. Essentially, take the time to think before you act and trust your gut. As always, please let us know if you have questions about this or anything other legal matters that you may have. I recently participated in a creative writing class. During that class, we had a discussion about humility as an essential aspect of being genuine. Whether in business or in every day life, we tend to trust people who can admit when they are wrong or need assistance, because we, ourselves, are not perfect or indestructible. During the class, I couldn’t help but also reflect on the book. When I first started to practice law in December, 2004, I was over confident. While in law school, I had worked for as a student district attorney and for some amazing attorneys; of course, I thought that I knew everything that there is to know about practicing. On the very first day that my practice was open, I received a referral from a close law school friend. Opposing counsel on the case was one of the most prominent attorneys in Boston, who (literally) started practicing before I was born. Within a month, I felt out of my league; while my experience was great, it was not that of a seasoned attorney. The brutal truth of admitting to myself that I had failed at being instantly brilliant was painful. Only once I admitted that I was lost could I truly ask for help and grow in to who I am eleven years later. Sometimes the truth is painful, but it can be the gateway from good to great. Text, Tinder, and Twitter….oh my…. Like so many New Englanders, I am excited about the Patriots’ recent Super Bowl win. I actually thought of how to integrate the win into my monthly newsletter. Deflategate was an obvious topic, but it’s been over discussed by every reporter and person in the country. Then, out of nowhere, a photo of fan favorite Julian Edelman started spreading quicker than a Gronk spike. I am not going to speculate whether the photograph was authentic or ponder the ethical issues involved with posting it, but it did get me thinking about the exposure that we all have in our digitally obsessed world. So many people innocently put information online.We all post funny stories, cartoons, and photos. We think that our social media accounts are protected, because we have customized privacy settings and security software. We see the photos that are circulated on Facebook, trying to provide a lesson to young students about how quickly people can “borrow” your content, but think our photos are safe, because of those protections. The digital world offers less protection than most of us feel comfortable admitting. Sometimes, it results from the innocent time when your friend copied your photo from Twitter, to show someone else how cute your children are, but, somehow, the photo travels into the wrong hands. What happens when a hacker or child perpetrator gets hold of the photo? How would you react if the photo is used for advertising without your knowledge or consent? Often, potential employers actively search online for “dirt” on perspective employees. For every photo or statement that an employer examines, someone is interpreting what they think it says about the character and personality of the potential employee. How does a hiring manager react when all they find are photos of you with cocktails in your hand or constant posting during traditional work hours? Do they interpret it differently depending on your work history? Is the electronic evidence relevant to the case? If you are getting a divorce and your spouse is claiming infidelity, a photo posted online or text, of you with a friend at a Red Sox game, could be relevant if your spouse suspects that the other person is your new partner. Moreover, mere membership or profile on a dating website, such as Tinder, could support that you are unfaithful (or trying to be). Can it pass the test of authenticity? If a witness confirms that the evidence is real and accurate, it will likely be allowed to either by the Court to support or discredit your case Commonwealth v. Oppenheim, 86 Mass. App. Ct. 359 (2014).If someone, who has first hand or expert knowledge, testifies that it was taken on April 10,2014, at the Red Sox/ Yankees game at Fenway, their statement will likely authenticate the photo as real and accurate. Is it hearsay? When information is received from other people that cannot be adequately confirmed, it is hearsay. Unless an exception to the hearsay rule applies, the information cannot be used as evidence. If you heard from Alex that Jeff committed a crime, it is probably hearsay; however, if you witness the crime being committed, your description of the event is not hearsay. Is the electronic evidence the “best evidence?” If the original document is no longer available, but a copy is, it will likely be allowed by the Judge. If a text conversation is deleted, but somebody saved a screen shot, a judge would likely accept a copy of it as best evidence. Is the probative value of the electronic evidence outweighed by unfair prejudice? If the evidence makes a reasonable person wonder “who DOES that,” it is likely prejudicial. If you are engaged in a child custody dispute, where safety is an issue, a text photo of you, happily playing on the swings with your delightful child, is usually wonderful and suggests good parenting. If the photo is of you, with your five year old child, at a shooting range and the child is firing a weapon, it would likely cause an intense reaction from most people; however, that prejudice would be outweighed by value of what the photo is likely being used to prove, such as recklessness. What should this mean to you? Be careful of what you put online; those online rants about your job or significant other could be a problem later and in an unplanned way. Be careful of how you appear in photos; perspective employers understand that you like to have fun, but do not want to hire someone who is irresponsible. Be careful of what you write in a text, email, or instant message; the words that you write are powerful and speak volumes about who you are, what you do, and how you think. As always, please feel free to contact me for additional information or a consultation. Please feel free to send this newsletter to anyone who may be interested. Receipt of same is not intended to offer specific legal advise or create an attorney-client relationship.